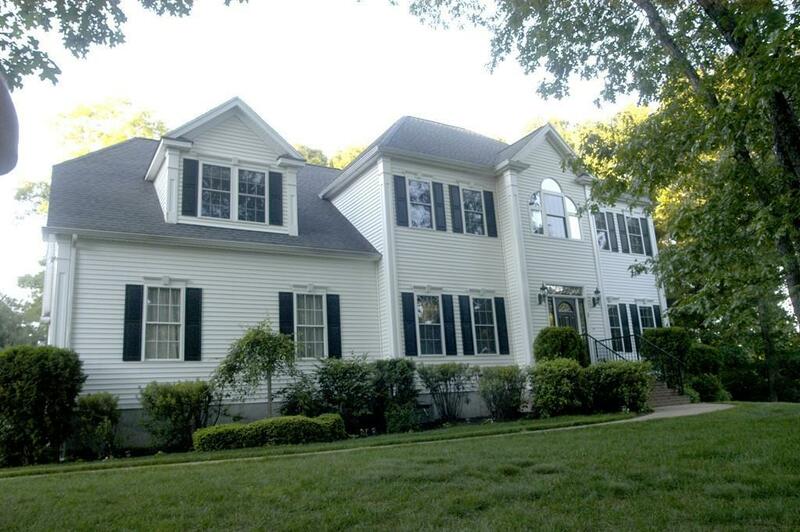 Elegant 12 room Custom Colonial in Tanglewood Estates. Family room has a raised gas fireplace / cathedral ceiling with beams. Custom cherry kitchen has a separate pantry, large island with pendulum lights and double sink. Newer 4 season room is located off kitchen with Brazilian hardwood floors. Pillars divide the formal living/dining rooms. 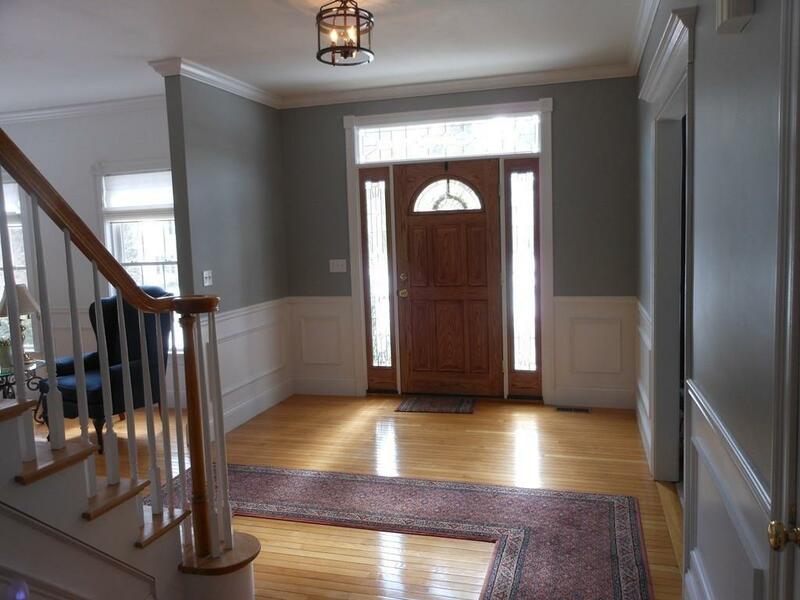 Crown molding and wainscoting compliment these two rooms. 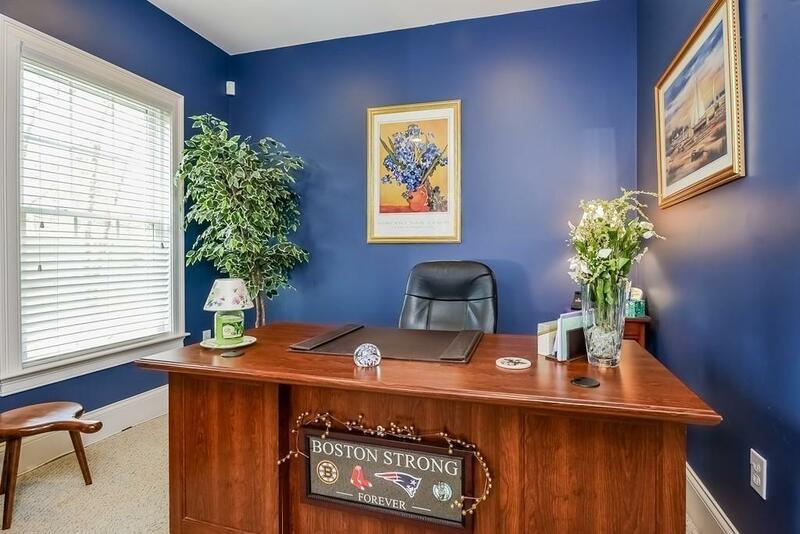 A home office/study completes the 1st floor. The master suite includes a separate sitting area with TWO walk-in closets, linen closet and master bath with a jetted tub. Four additional spacious bedrooms which can all fit a king sized bed. 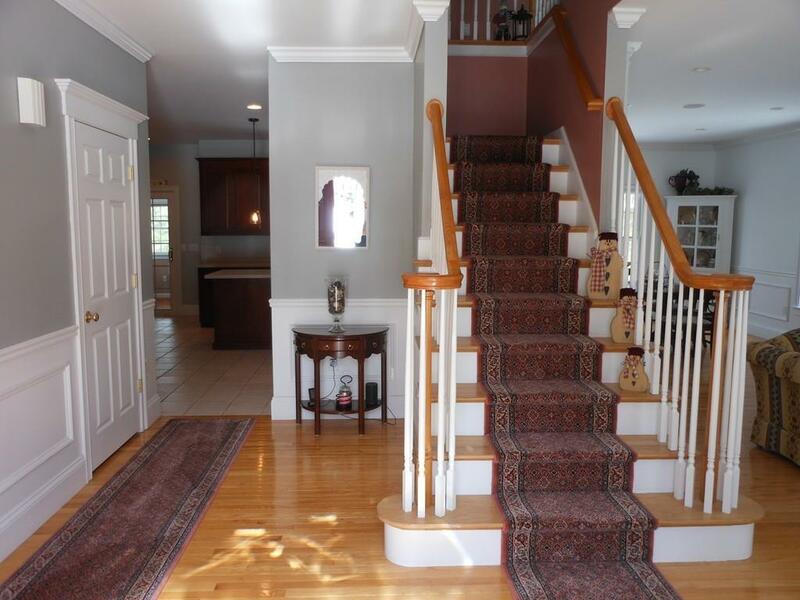 This home sits on a private setting and is in a great convenient location. Walk-out basement has a finished great room. Central air, security system, surround sound and central vac are some of the extras found in this Move-In-Ready Home. New hot water tank(6/18) New heating system(11/18). Open House scheduled for Saturday March 16th noon-1pm. Disclosures Owner is A Cbrb Agent. Four-Season Room Windows Are Not Alarmed Has Electric Heat And No Central Air. First Floor Has Surround Sound. Buyer To Verify All Measurements. Sq Ft Disclosures Sq Ft includes Approx 430 in Lower Level.